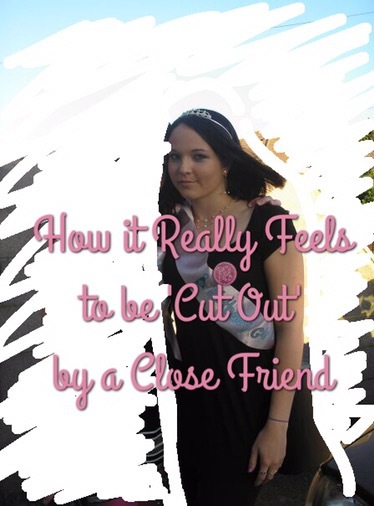 So if you’re a friends fan (like me), you might recall the episode (The One with Ross’ Tan) where Phoebe and Monica are trying to avoid seeing an old friend of theirs and the phrase ‘cut out’ was used to describe the act of blocking a former friend out of your life. With the age of social media, this act has become even easier to achieve, all you need to do is use the handy ‘block’ button on almost every form of social media there is. Perhaps you’ve felt the need to utilise this function before? But how does it feel for that person who is cut out of your life? Generally if someone is blocked, the assumption is that they’ve done something awful, have given some big reason to be blocked. But what if you have no idea what it is you’ve supposedly done? What if the whole thing seems completely random and out of the blue? The feeling is similar to when I was fired, without any warning (verbal or written) back in May 2015. There are some possibilities as to why it happened, but nothing that stands out, no sure thing, and even if there was, it’s still hard to handle without receiving any warning it would happen, without being given the chance to make things right. I discovered I was blocked when I found a CD we had made together when we were younger, and I went to write on their Facebook wall only to find I couldn’t find their profile. Not realising I had been blocked as this friend often had periods where they would leave Facebook for awhile, I went to WhatsApp to send the picture. It was only when I got the double blue tick non response that it dawned on me, she hadn’t left Facebook, she’d just blocked me. What made it hard to understand was how close a friend she had been. This wasn’t an acquaintance who had maybe done some Facebook ‘pruning’ (c’mon, you know what I mean)… she was somebody I had met 18 years previously, someone I had grown up with, someone I had told all my secrets to as a teenager and someone who had even been there for the birth of my first son. 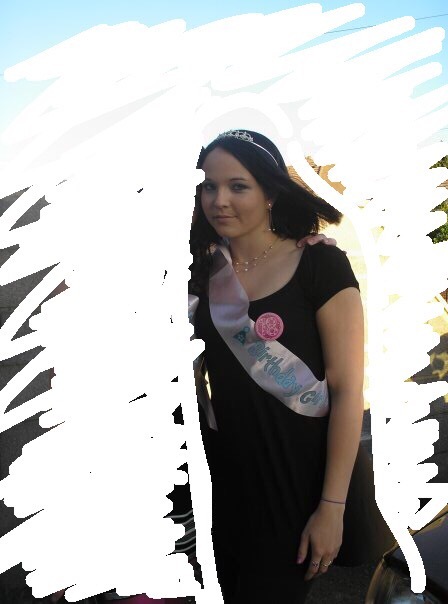 She moved away when we were around 20 and we no longer saw each other as much but I still considered her one of my closest friends and, when I married my (now ex) husband in 2014, I had asked her to be my bridesmaid (she turned me down by the way, maybe the friendship was one sided even back then). She wasn’t able to attend my hen party last minute and then wasn’t able to attend the wedding, but I still felt a bond between us even so and, when she had returned to social media after a long break, I was happy to be able to keep up with her life via photos and statuses, if not in person. I followed her second pregnancy online and, when my marriage broke down, she was there on the other side of a computer to ask how I was doing. And then, bizarrely, without warning, she was suddenly gone. At first I took it quite badly, I was angry and frustrated that she had felt the need to cut me from her life without so much as a goodbye, without an explanation. Did I not even deserve the decency of a reason behind her actions? After awhile I came to my own conclusions, whether right or wrong, behind her decision. I guess that was my way of coping with the loss I felt. Because it was a huge loss. Yes, we had been less close than we once were, but I still considered her one of my best friends. She was by far my oldest friend, having met her when I was in primary school. We shared the same birthday, my family was like a second family and we had been on holidays together. We even had our first kiss at the same time (not together, I might add). Even once she moved away I still thought of her when I had big news or when I remembered something funny, because she was a part of most of those memories. To just suddenly not have that person in your life anymore, to never speak again, it’s almost like a grieving process, and definitely just as hard as when a partner leaves you. I no longer feel anger or resentment for what she did, just sadness for the loss of a close friend. As I’ve grown older I’ve lost contact or fallen out with a lot of people I once knew, but the one that stands out is her. I hope that whatever she is doing now, wherever she is and whoever she is with, that she has a good life. It’s just a shame she didn’t think of me as a good enough friend to bring me along for the journey.